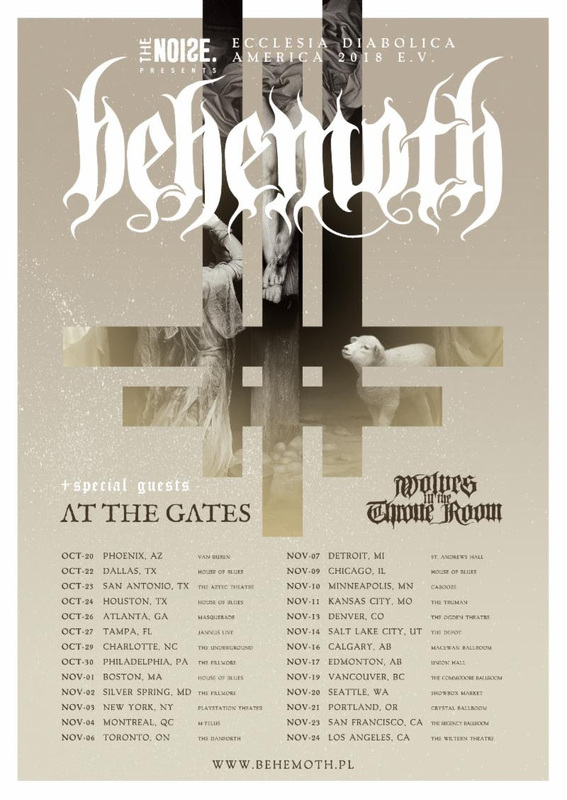 This October/November, Polish black/death overlords Behemoth will hit the road across North America to headline the "Ecclesia Diabolica America 2018 e.v." tour. Featuring special guests At the Gates and Wolves in the Throne Room, this is one show not to be missed! Check out the dates below!